Watch Pharrell chat with the squad in MIA. 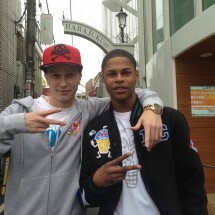 Dre and Emmet spent a couple of days in Tokyo last week. Thanks to all the homies there who took good care of us. Watch for the goods dropping in the coming months.